This weekend was my birthday milestone weekend. I turned 40 years young! Some people either dread it or embrace it. 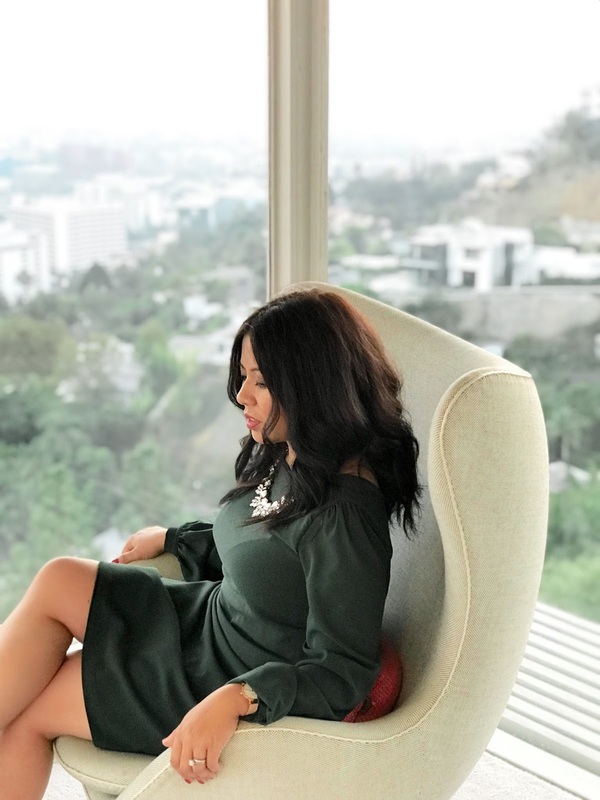 I choose to embrace it and slay it flawlessly! 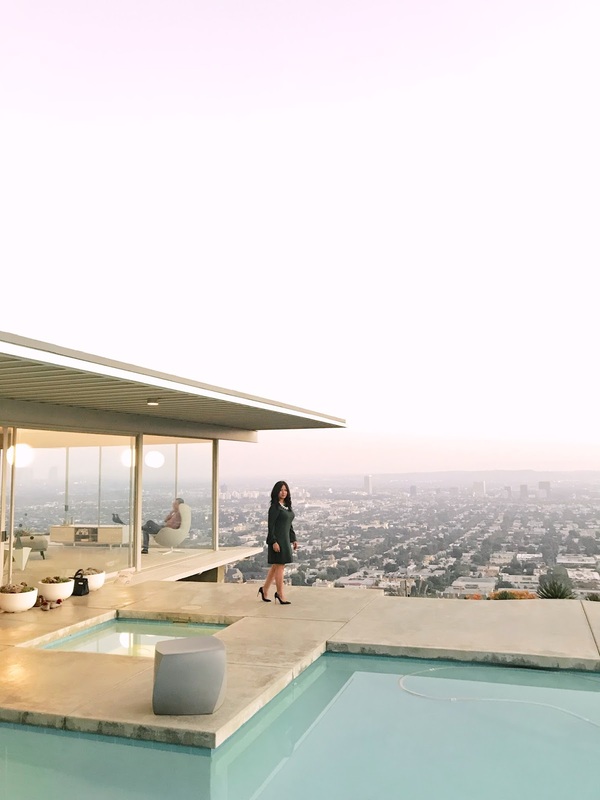 As a birthday gift to me, my husband surprised me by taking me to the Hollywood Hills to one of the most iconic architectural masterpieces in modern history, Case Study House #22 (aka the Stahl House). I've always had an interest in architecture and interior design. 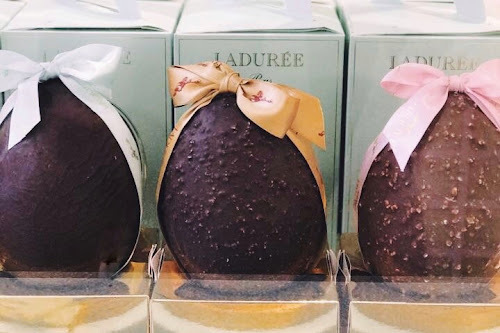 I don't have a particular type I love (because I love it all! ), but if I had to choose one it would be mid-century modern. I am a believer in "less is more", clean lines and simplicity in all aspects of life. Years ago I read about Case Study Homes, which was an experimental residential architectural program sponsored by Arts & Architecture Magazine in 1945. Although the project was nationwide, majority of the Case Study Homes were built in California. 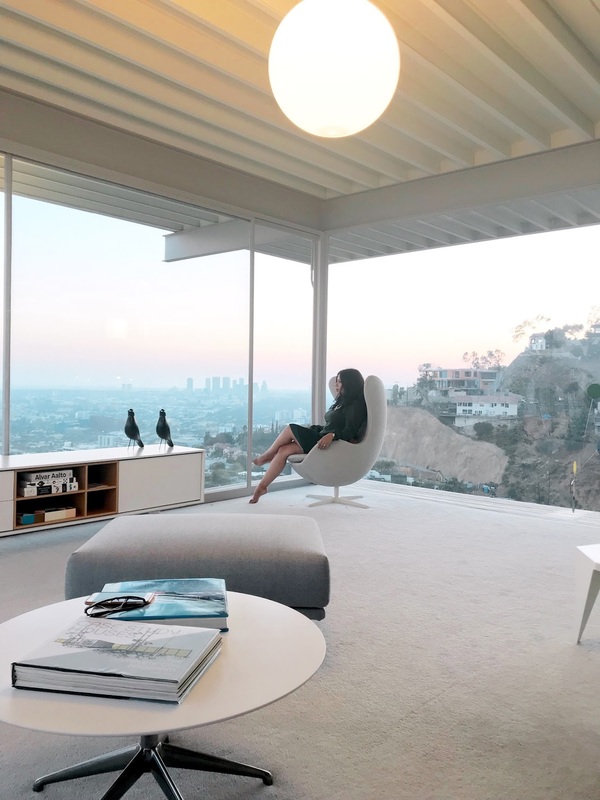 This particular home was the one I had my eye on ever since I saw the dramatic black and white image of the house featuring two women lounging in the living room over the glowing LA metropolis. 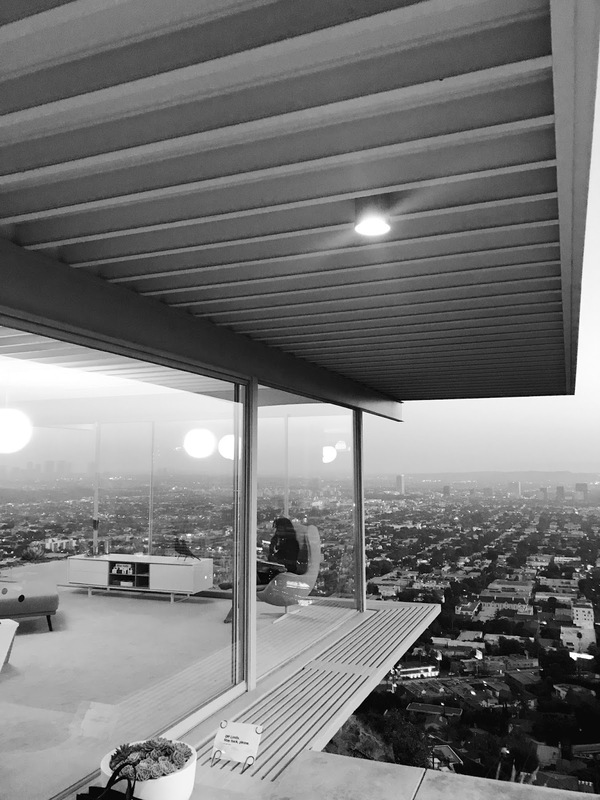 That iconic photo was taken by architecture photographer, Julius Shulman, and part of the Stahl House fame is largely due to his image. 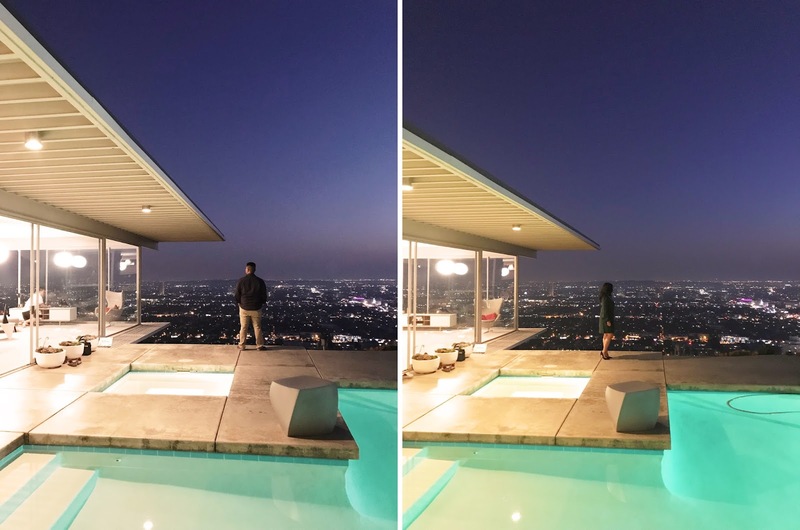 It was always a dream of mine to visit the Stahl House and re-create Shulman's famous image (you can see below). 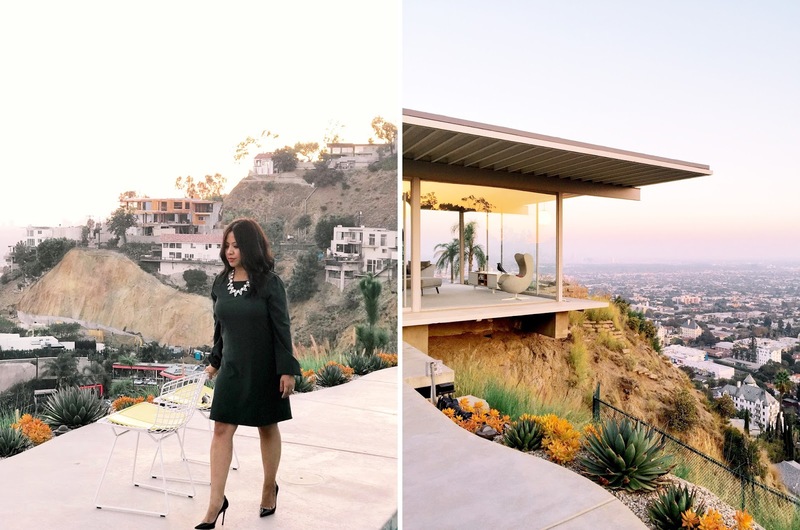 My husband knew the Stahl House is my dream home and so this was definitely a dream come true! 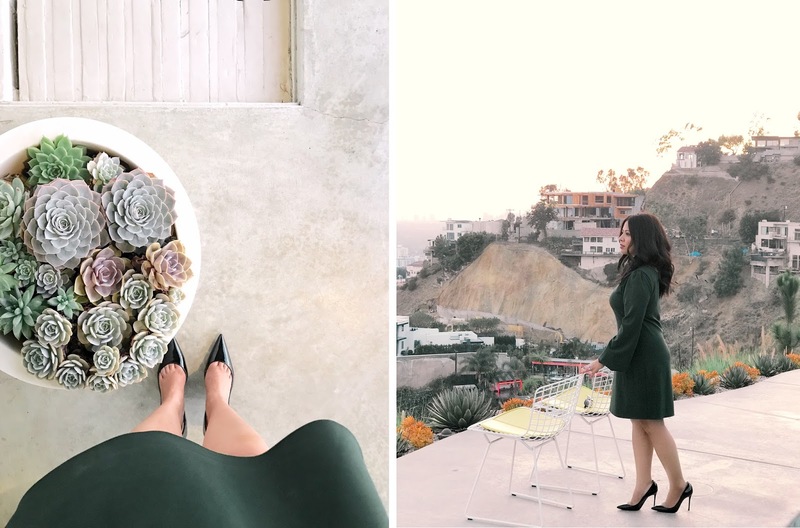 We pulled into the private home of the Stahls, which is beautifully perched on the Hollywood Hills. The tour began late afternoon to the evening. The docent talked a bit about the history of the home and it's involvement in the Arts & Architecture Magazine project. Afterward, we were free to roam around the home and take pictures. I studied every corner of that house and enjoyed every bit of it. 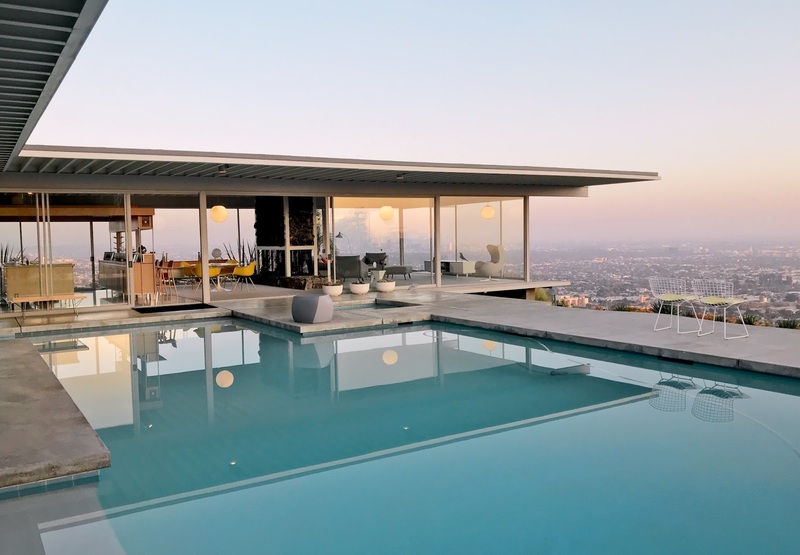 We sat by the pool and relished the stunning view of LA! As the sky turned dark and the city lit up, the docent turned off the lights of the house for 30 minutes so we can enjoy the glowing LA view. With just a handshake to confirm the deal, the original owners, Buck and Carlotta Stahl, bought the land the house now sits on for $13,500 in 1954. The Stahls decided to commission a young architect, Pierre Koenig, to realize their dream home. Pierre later proposed the project to Arts & Architecture Magazine and in 1959 it was adopted into the Case Study Program and given the number 22. 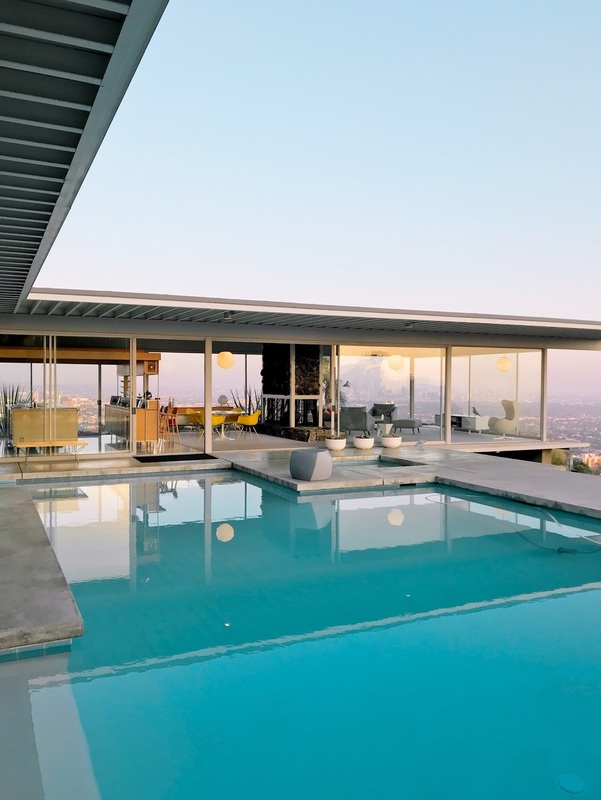 The Stahl House was completed about 13 months later and ended up costing $37,500. The glass and steel pavilion-style home is 2,200 sq. 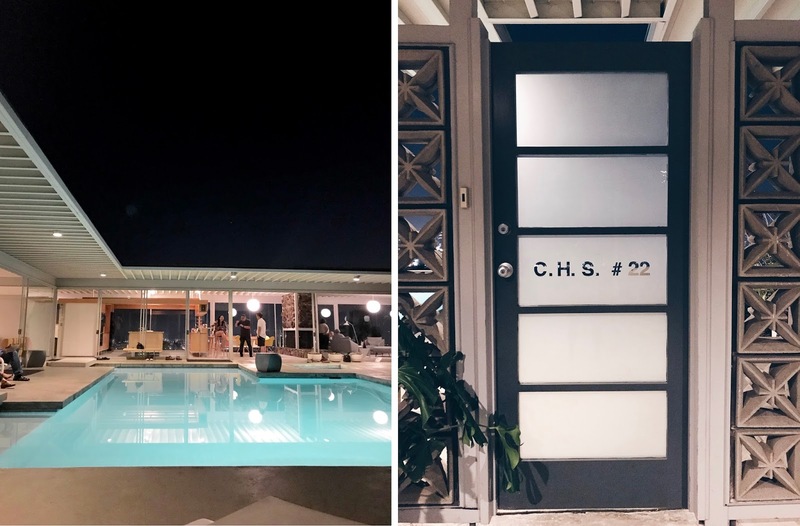 ft, 2 bedroom, 2 bath, has a swimming pool, and the most spectacular view of Los Angeles! After completion, Buck and Carlotta Stahl and their 3 toddler children, moved-in. I mean can you imagine growing up in this type of house? Stunning! 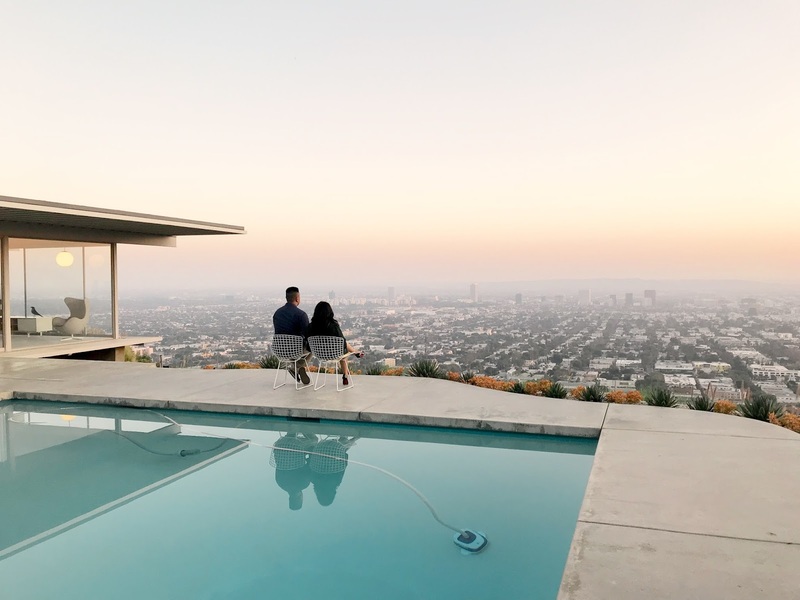 The Stahl House is a private home and is owned by the now-grown Stahl children. Although no one lives there, they occasionally visit to enjoy with their own families and friends. 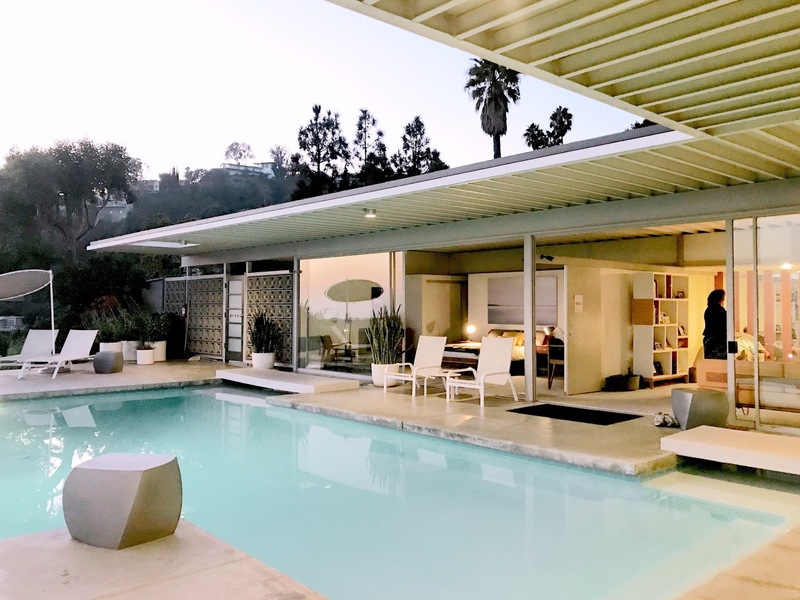 This property is open to the public (by appointment only) and for commercial use, which is not cheap, and has been featured in magazines, music videos, television and movies. Group tour tickets can be purchased on their website, but they sell out quick. They have a strict photography rule: only cell phone photography is allowed, but NO video or DSLR cameras. You can post your pictures on social media for personal use only. For more information or to reserve tour tickets, visit http://stahlhouse.com/ or click here. 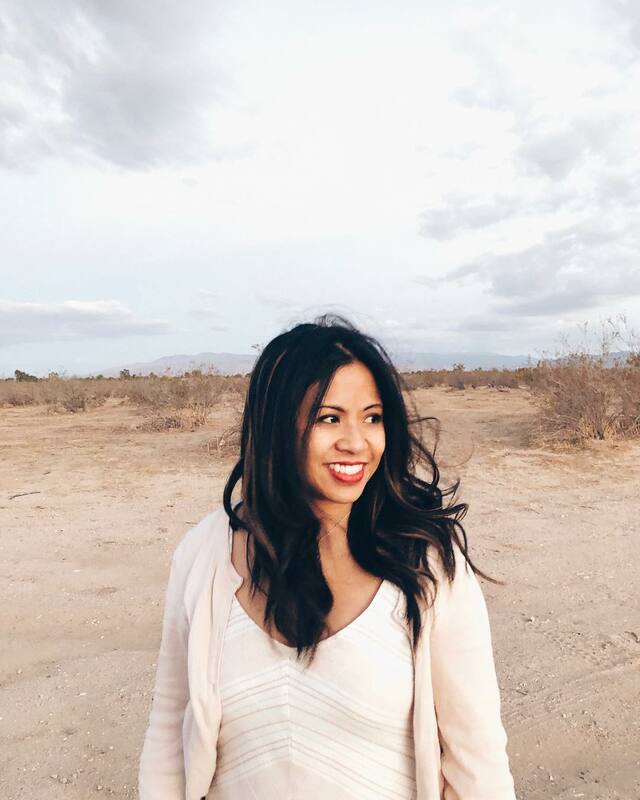 I am extremely grateful for the opportunity to experience my dream home. 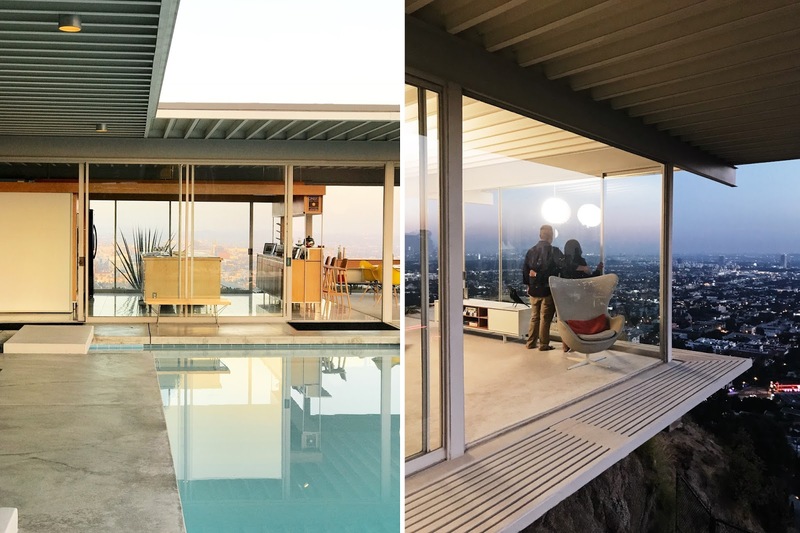 Walking barefoot on the prestine white carpet, sitting on the comfortable sofas, hanging out in the kitchen and wet bar, and enjoying the marvelous view of LA...the Stahl House is such an inspiring piece of modernist-style architecture! This was the best birthday gift ever!